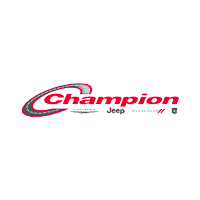 At Champion California in Downey, CA, we strive to serve our customers with a high quality, and wide-ranging inventory of new Chrysler, Dodge, Jeep and RAM vehicles. Please, take your time as you peruse our online inventory, and be sure to check out our special offers and incentives before you make your decision! Once you’ve settled on a vehicles, contact us or stop by our Downey, CA dealership to set up a test drive or an appointment with our finance team.